This article was written by Mike Leding. Ultiworld’s coverage of the college fall season is presented by Spin Ultimate; all opinions are those of the authors. Please support the brands that make Ultiworld possible and shop at Spin Ultimate! Maine Ultimate in conjunction with the City of South Portland, Visit Portland, and the Maine Sports Commission kicked off the Lobster Pot tournament on Saturday at the Wainwright Sports Complex in South Portland, Maine. There are 66 college and two high school club teams playing in men’s, women’s, and mixed divisions. Cash prizes of $1,000 and $500 to first and second place, respectively, could go a long way towards team dues and helping offset travel expenses for the season. Despite some teams missing top talent due to Club Nationals landing on the same weekend, this is a great tournament for college teams to kick off their season and tryout some of their new talent. Maine Ultimate did this right. Wainwright Complex was able to provide 34 regulation sized fields. Two key themes early in the day were wind, and that this is a very early tune-up to tryout talent new to these universities and colleges. Open lines, folks playing different positions, how they handle the elements, etc., so that once the real training for the spring training starts coaches and captains have a good idea of who fits where. Today teams were met with mid 50-degree temperatures at 9 a.m. and 10-15 mph wind, a common theme all day. Around 2:30 p.m., the wind eventually died, the sun came out, and the teams enjoyed low 60-degree temperatures for the rest of the day. Upper Women’s: Coming into this division, Dartmouth and Vermont seemed to be the teams to beat as University of Vermont looked to defend their title they won over Bates College last year. Vermont was taken to double game point in an 8-7 win over Mount Holyoke in game one. Mount Holyoke was powered by Sarah Bloomgarden, who was a force on both offense and defense. Vermont received on DGP and, after a turnover riddled point, was able to hammer the final point home. Vermont won the pool going 3-0, followed by Mount Holyoke at 2-1, Connecticut at 1-2, and MIT 0-3. On the other side of the bracket, Dartmouth went 3-0 with their closest match being 11-5 despite a New Hampshire student noting “half their team is missing due to Club Nationals.” Certainly, Dartmouth will be eagerly awaiting watch Jac Verzuh and Caitlyn Lee (along with plenty of Dartmouth alumni) in the Women’s final this afternoon. The Dartmouth women, unlike most teams, stuck to matchup defense and on offense did an excellent job of creating one-on-one matches and winning the race, producing a fluid offense on day one. Dartmouth finished 3-0, with New Hampshire at 2-1, Bates at 1-2, and Maine 0-3. Chase Baker, one of the coaches of Bates, said the same thing as Vermont’s coach, noting they were without Josie Gillett and had nine sophomore and nine freshmen and were using this as a tune-up. Lower Women’s: This division was comprised of 14 teams. Rensselaer Polytech out of Troy, NY, and Bowdoin out of Brunswick, Maine, were the only undefeated teams in this division, going 4-0 and 3-0 respectively. The #14 seed high school YCC team Rip Tide comprised of mostly Maine high school girls took their bracket with a 4-1 record beating Brandeis with the tiebreaker who they had defeated earlier in the day 12-2. Rip Tide was powered by strong handling of Emily Pozzy and Maya Ragucci, who were able to navigate the wind with big throws and big pulls. Also 12-year-old seventh grader Willa Morales had a strong day moving the disc and catching goals. It is fun to see the youth explosion in this sport. Smith College was able to stop these girls’ undefeated day with a 12-5 victory in the last game of the afternoon. Smith was powered by the strong play of Emma Schwartz. She was a steady handler in the wind and was always making bail out cuts to keep the disc moving. For full pool play results from this division, check here. 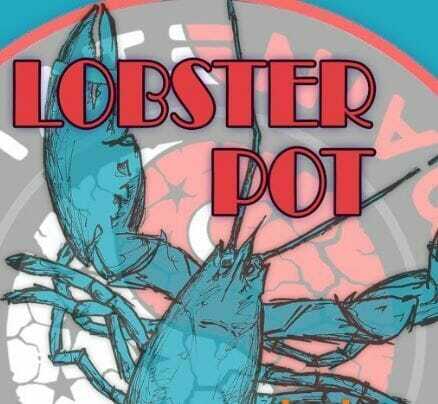 Mixed Division: This is a first-time division at Lobster Pot in 2018. Five teams played in this division and it was dominated by UMass, who went 3-0 on the day with their closest match being decided by eight points. This division was rounded out by Maine Farmington, Holy Cross, Hampshire College, and Somerville Youth. Men’s Upper: This division was comprised of the who’s who of the Northeast College Region. Brown, Somerville Youth and their “YO-UTH!” cheer, and Harvard all went undefeated in pool play. Dartmouth, Vermont, and Boston College all ended with one loss. Vermont looked big, fast, and physical in early round wins over Boston College B and Middlebury in an intrastate grudge match which Vermont won 12-10, but then were overpowered by Somerville Youth 15-7 in the last game on the day. Harvard won their pool in tightly contested games for the most part. Boston College had two teams comprised of 34 men split between A and B and look to be a program on the rise. I look for Somerville Youth to come away with the championship today. For full results on this bracket, check here. Men’s Middle: This division included 12 teams. Wesleyan, Syracuse, and local high school YCC team Neap Tide all had undefeated days at 3-0. Bates College won the other bracket at 2-1 on tiebreakers over Skidmore and Rhode Island. Syracuse Doom had a nice day winning three close matches. Syracuse was a tall team with several athletes; look for them to make a run on Sunday. Neap Tide took the pool by storm with wins over Colby, Amherst, and Connecticut B. Neap was powered by strong play of Calvin Stoughton, Ben Payson, and Ben Horrisberger; they were also joined by an Italian exchange student Giorgio Amati, who provided strong handler play. It is interesting to see a high school club team being competitive with these college teams; however, it makes sense as the YCC team spent a lot of time together this summer and some of these college teams are just getting started. It will be interesting to see how Neap matches up with Rensselaer who lost a tight one to Syracuse today. For full pool results, check here. Men’s Lower: Eight teams made up this bracket with Dartmouth B and Connecticut College going 3-0. Based on the results of the Saturday, one expects to see those two match up in the finals with $1,000 on the line for first place! For full results, check here. Look for elements to be a factor on Sunday as temperatures call for a high of 44 degrees and wins up to 18 mph. Good luck to all the teams! Comments on "Lobster Pot 2018: Saturday Recap"